There probably won’t be a James Taylor radio renaissance upon the release of his thoughtful, elegiac new studio album Before This World. Yet, this advent of new material offers us a chance to take a look at a remarkable man’s life while he continues to create music at the age of 67. I was raised on James Taylor records — he is one of those musicians with eternal appeal, crossing generations with remarkable ease. “Somehow I haven’t died/ And I feel the same inside/ As when I caught this ride,” he sings on the album’s opener “Today Today Today,” and when I spoke to him late last week, he was as witty, warm, and mystical as I’ve long-imagined he was back in 1968, recording his debut album for the Beatles’ Apple Records. There are some artists who leave such an indelible impact on the musical canon that they seem to spawn genres of their own. 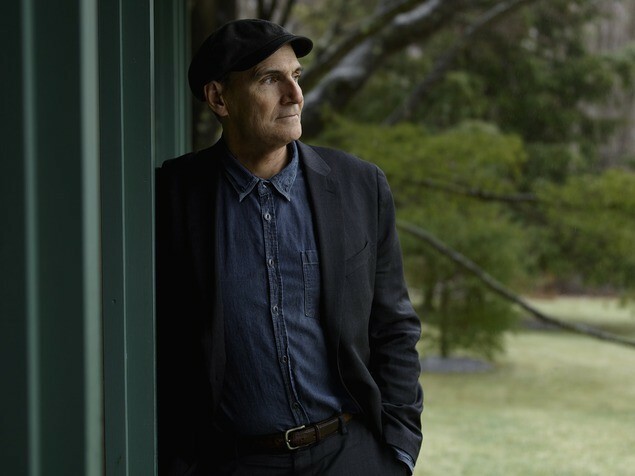 In January, Chris DeVille penned an essay asking if 2015 would be the year of the “’70s singer-songwriter“; little did he know that the quintessential James Taylor would be returning to the game. Next month’s release of Before This World marks Taylor’s first album of new, original material since 2002’s October Road. (For context on how long that span of time is, Stereogum was founded in 2002.) Taylor may indeed be the original ’70s singer-songwriter, a man with the knack for writing such personal, precise songs that they became part of our collective consciousness. “Fire And Rain,” “Carolina In My Mind,” “Something In The Way She Moves,” “Your Smiling Face,” and others became American themes, bastions of simple hope, loss, and love. Songs he didn’t write like “You’ve Got A Friend,” “Handy Man” and “How Sweet It Is To Be Loved By You” were given new meaning when he sang them. STEREOGUM: Let’s begin by talking about “Montana,” the new song of yours we’re premiering. What was your songwriting process for this one? ?TAYLOR: I’ve had the set of chord changes and the musical structure for this song for fifteen years, maybe longer. I was always hoping to write a lyric for it. To write lyrics for these songs on this album I found I had to basically steal away, and just hole up in various places for a week at a time without distractions. In this case, I borrowed a friend’s place in Montana, just outside of Big Sky, Montana. It was a beautiful little rustic kind of a cabin that overlooked this valley and there was like twelve feet of snow outside. After a couple of days, I started writing about the place I was in. It’s a song about longing for a simpler existence; the tug between wanderlust and wanting to be on the road and in the world, and at the same time, the appeal of being at home and staying in one place. Once the song started to appear and manifest, it was quickly clear that it was going to be about where I was in Montana. It’s a song that’s kind of rooted in the landscape, if it was a painting it would be a landscape painting. STEREOGUM: I was listening to the really long interview you did with Howard Stern, and you called your songs palliative. I’ve always thought of your music as soothing and comforting, like “Country Road” is. “Montana” seems to fall into that vein. ?TAYLOR: There are a number of different angles that a song comes from, and sometimes they’re soothing or comforting, sometimes they’re celebratory with a party or festival sensibility. Sometimes songs are mysterious, occasionally they’re angry or political. But I definitely do have this thing in my writing that looks to comfort, looks to soothe or to heal, and that seems to be a big part of this one, you’re right. STEREOGUM: I know the first song you ever played for the Beatles was “Something In The Way She Moves.” If you had to audition for them again with one of the songs from this new album, which one would you play? ?TAYLOR: Yeah, that’s a good question. “Montana” wouldn’t be a bad choice actually! I had the musical chord cycle for such a long time but it wasn’t until the very end — we had already cut all of our tracks including the track to this one — when I finally got the lyric. It was a surprise at the very end and songs like that can be a gift, you have no idea what’s going to come out and what it’s going to say to you. This could definitely be in contention to play for an audition because it works well just on the guitar, and it has a sort of country waltz feel to it, and that very identifiable descending bass line. STEREOGUM: Your career helps mark the start of a whole new genre in a way, the “’70s singer-songwriter.” How does it feel to be the foundation of a new category of music, to embody that? ?TAYLOR: People have told me that before, but I didn’t invent it by any means. 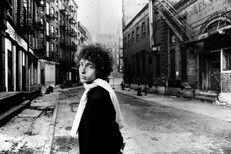 If I look at people that I think were the sort of pioneers of that style I think of people like Woody Guthrie and Bob Dylan. But I did my version of it. People like Dave Van Ronk (the folksinger who inspired Inside LLewyn Davis), Eric Andersen, or Tim Hardin, the guy who wrote “If I Were A Carpenter” … there were a lot of people that influenced me. I’m sort of surprised that people would credit me with inventing that. Joni Mitchell was already doing it when I came out of the box, so was Randy Newman. So I can’t really take credit for it. STEREOGUM: Speaking of Joni Mitchell, I wanted to ask you about the number of collaborations you’ve had with female singer-songwriters like Joni, Carole King, Linda Rondstadt, even your ex-wife Carly Simon. Were you consciously drawn to work with women in music? ?TAYLOR: I’ve collaborated with my share of guys as well, but it’s true, I suppose. Joni and Carly and Carole — I would say that Carole had the most effect on me. All three of those remarkable talents had a profound impact. I had a deep musical conversation with all of them. We shared a musical language. It’s a lovely thing to do. To share music like that is an extremely deep connection. It has meant a lot. But I think that Carole and I, we played in each other’s bands and on each other’s albums. That’s true of Joni and Carly too, but Carole was there in my band with me. We were never a romantic couple, we were never intimately involved, but musically we were really close. That’s something that I wouldn’t trade for anything. It was pretty wonderful working with Carole. STEREOGUM: I learned from the Howard Stern interview that Carole wrote “You’ve Got A Friend” in response to that “Fire And Rain” line “I’ve seen lonely times when I could not find a friend.” I thought that was touching. I’ve loved both of those songs for my entire life and never made that connection. TAYLOR: I didn’t know that either for a long time! STEREOGUM: When did she tell you? TAYLOR: She told me that about nine years ago when we were both doing interviews together for this Live At The Troubadour reunion project that we put together. That came as a real revelation to me. It sort of filled in a blank for me about what had really motivated her to write that tune. I’m really glad she told me, and I’m also glad she didn’t tell me at the time. It’s cool. STEREOGUM: A lot of people who struggle with dark things like depression and addiction take comfort in your music. There’s still such a stigma in our culture around drug abuse and depression, but you seem to be particularly comfortable with your past and speaking about it. How did you come to terms with that, especially dealing with severe depression at such a young age? TAYLOR: It’s not that unusual a thing for people in their late teens and early twenties to go through a really rough patch. It’s something that our culture doesn’t do a great job of leading and supporting people through, when they’re trying to find a way into the world, a life of their own. It was particularly overwhelming to me. It’s something, that if you live through it, seems like a bad dream. But it’s not something that dogs you all your life. It’s a rough passage, that’s the way I look back on my own experience in those days. As far as the addiction piece goes, I think there’s a lot of truth to the genetic predisposition for addiction. It’s definitely a family affliction in my case and you see a lot of that, where it rears its head in subsequent generations. I wish my family had known that earlier because I think it would’ve saved us a lot of wear and tear. As time goes by, there’s more treatment for addiction and people know where to go. It took me three attempts at getting clean and sober to finally get some years under my belt, so it’s an important ongoing part of my life. I see things in terms of recovery; it informs a lot of how I see the world. I do think that my substance abuse was essentially self-medication. I wasn’t partying, I was trying to feel normal. The advice is, if you find yourself experimenting with an addictive substance and it really works for you, that’s a sign that you should put it down. Get as far away from it as soon as possible. The stage of addiction is you feel as though you’ve found an answer to your problems. STEREOGUM: Do you have any advice for anyone who might be facing down those demons? TAYLOR: Do not to suffer in silence. Get help if you can, as soon as you can. I think a practical thing I can say is that when I got clean finally, I also got very deeply into physical exercise. The only thing that made me feel comfortable was to really work out, sweat my way through it. Exercise and daily physical activity was a key part of my making it through. I encourage people to make that a part of their recovery, and also, a part of their life particularly if you suffer depression. I’m nowhere near as intense as I was in my early recovery, but it’s still essential to me. STEREOGUM: Recently you spoke out very favorably about President Obama and Hillary Clinton. If Hillary does become a presidential candidate would you vote for her? TAYLOR: I would definitely vote for her. Everyone is welcome to their own political take, but I’m excited about Hillary’s candidacy. That she’s a woman is an important change. A number of things are helping us to reconsider and reinterpret what traditional male and traditional female roles are. I think this is a period of time where our reevaluation of what we consider male and what we consider female, this is a time when that hopefully will really change. In that way it’s an exciting time. STEREOGUM: Speaking of another powerful woman, Taylor Swift is probably the biggest pop star in the world right now, and she’s named after you! How do you feel about being connected to her in that way? TAYLOR: It’s hugely flattering and was a delightful surprise when she told me that. We did a benefit together, I think it was focused on teenage pregnancy, before Taylor really took off. But she was playing guitar and singing her songs and I knew how remarkable she was. She told me that her mom and dad had been really, deeply into my music and I got a real kick out of the fact that she’d been named after me. Obviously it wasn’t her choice, it was her mom and dad, but nonetheless a great connection I think. STEREOGUM: Have you listened to her latest album, 1989? TAYLOR:: I’ve heard parts of it! I haven’t sat down and listened to anything actually in about two years. STEREOGUM: You’ve been holed up doing your own music. TAYLOR: I’ve been doing my own! I’ve been concentrating and self-absorbed for the past couple of years particularly, working on this new stuff. But you hear what you hear in passing in the popular culture — it’s almost impossible to avoid hearing Taylor. Not that I’d want to, but you know what I mean. STEREOGUM: She also references you as an influence. There’s a song on her new album called “Wildest Dreams” that makes me think of your songwriting style [Editors note: this acoustic version, in particular.] So if you do listen to 1989, you should listen to that one. TAYLOR: Okay then, I’m going to go listen to it immediately! James Taylor is also getting his own limited-run 24/7 commercial-free music channel on SiriusXM. It will feature music from his entire catalog including the brand new album Before This World, which is out 6/16 via Concord Records. Pre-order it here and get more details about his SiriusXM channel here.